Ok these will be the easiest mince pies you’ll get to make yourself. First off grease a 12 hole patty tin. Unroll a sheet of ready to use pastry and place it over the patty tin, I had to roll mine out a bit to make it wider, but that’s fine if you have to do that. Then using a knife cut through the pastry, as below. Press gently on each piece to make a dip in the pastry and put in a teaspoon full of mincemeat. Using some egg-wash to hold them together, turn up each corner of the pastry. Then use the egg-wash to brush the tops before placing in the oven 200C/gas 6 for 20 minutes. I made 2 batches of these, one with short crust pastry the other with puff pastry & both were really good. If liked you could sprinkle some icing sugar over them before serving. Well as far as I know, everyone loves a jam tart. Today as I had some leftover pastry I thought I’d make some, but, then decided the Grandchildren might like some in their sizes. How cute are these? Not really a recipe as I used leftover pastry, just wanted to show them off. 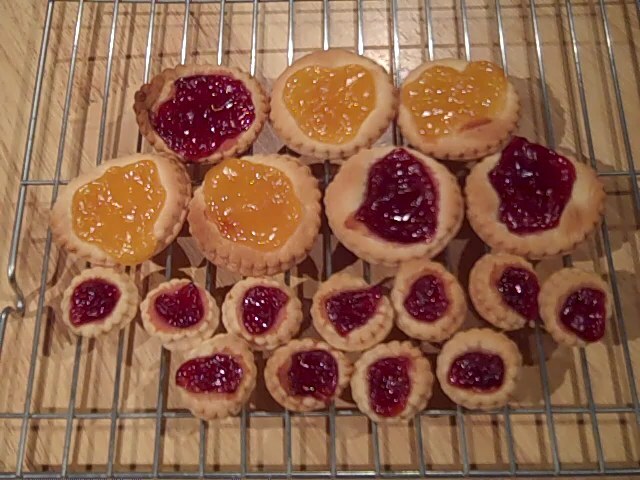 I used a 78mm cutter for the regular size tarts and a 48mm cutter for the mini tarts. Filled some with seedless strawberry jam and some with lemon curd. 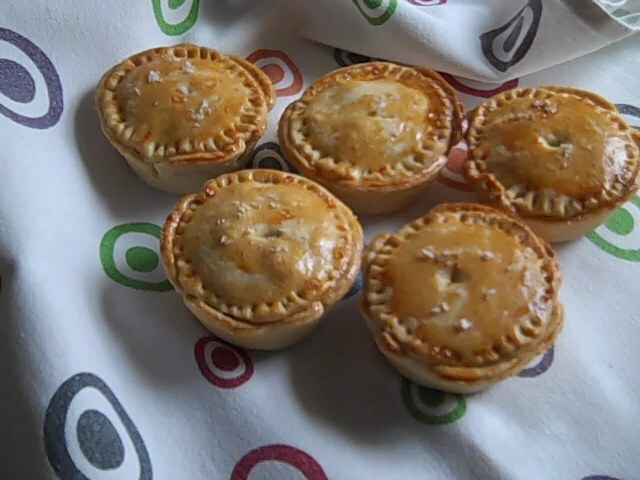 For the mini tarts I used a Lakeland silicone chocolate mould.